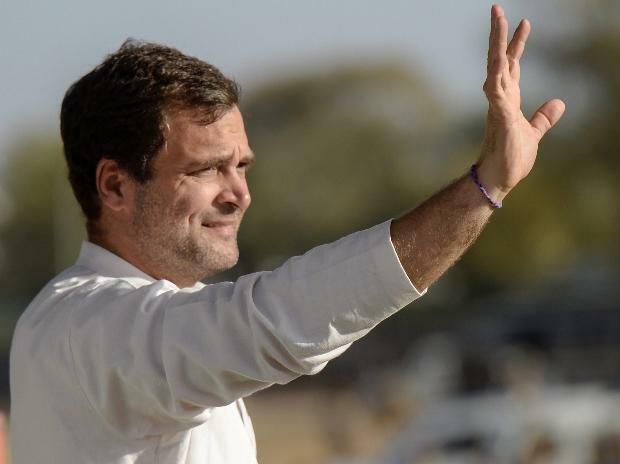 In a bid to improve the Congress' position in south India, party president Rahul Gandhi will contest from Wayanad Lok Sabha constituency in Kerala besides his traditional stronghold of Amethi in Uttar Pradesh. Veteran Congress leader from Kerala and former Defence Minister A K Antony made this announcement at a press conference here Sunday, saying Gandhi had consented to fighting from Wayanad following requests from the party's state unit. The decision is seen as an attempt by the Congress to consolidate its electoral base in south India, especially Kerala which has 20 Lok Sabha seats. Tamil Nadu has 39 Lok Sabha seats and Karnataka has 28. "This is a message to the southern states that they are deeply valued and respected. Congress president Rahul Gandhi has said he will represent Amethi but will also represent southern states as they are an important part of India's way of life,” Congress chief spokesperson Randeep Surjewala said. He said Gandhi has said Amethi is his 'karmabhoomi' and he will never leave it. The announcement evoked sharp reactions from both the Left and the Right of the political spectrum. Reacting to the development, CPI(M) Politbureau member Prakash Karat said that the decision of the Congress to field Rahul Gandhi from Wayanad shows that the party wants to take on the Left in Kerala. "Their priority now is to fight against the Left in Kerala. It goes against Congress' national commitment to fight BJP, as in Kerala it's LDF which is the main force fighting BJP there," he told reporters. The CPI(M) ex-General Secretary said his party will work to ensure the defeat of Rahul Gandhi in Wayanad. BJP chief Amit Shah also took a sharp dig at Gandhi contesting from two seats at a rally in Uttar Pradesh. "Congress' votebank politics has worked on playing with the security of the country. It is the result of this that Rahul Gandhi has left Amethi and run away to Kerala because he knows that voters will seek account from him in Amethi this time," Shah said. Earlier, Surjewala said the state units of Kerala, Karnataka and Tamil Nadu had requested him to contest from south India at a time when there is attack on the language and culture from the Modi government, he said. "This is a fight to espouse the aspirations of south India. This is a fight to give a befitting reply to those forces that attack cultures, languages, way of life and also the deep connect between north and south India between which BJP has created a division," he said. On BJP's criticism that Gandhi's is "not very strong" in Amethi, Surjewala said: "Why doesn't BJP answer why Moddi ji left Gujarat and went to Varanasi. Does that mean that his condition was bad in Gujarat. Instead of discussing these type of immature things, they should discuss key political issues. Why is BJP so scared." In a swipe at Union minister Smriti Irani who is contesting against Gandhi in Amethi, he said, "Pehle Delhi mein Chandni Chowk ne haraya, phir Amethi ne bhagaya. Jis mantri mahoyadaya ki charcha kar rahe hain, jinko ticket di hai, ab haar ki hattrick ka mahaul bana hai (First lost from Chandni Chowk, then Amethi. And now, the minister in question has created an atmosphere of a hat-trick of defeats)". Surjewala said the people of Amethi trust the fact that they are protected with Rahul Gandhi being there. "The BJP has the task of conspiracy while we have the task of construction," he said. He said Wayanad has a unique geographical feature as it links all the three states of Tamil Nadu's Nilgiri, Karnataka's Mysore and has the geographical and cultural representation of the three states. "That is why party decided that Gandhi will, in a way, represent the three states and strengthen the unity between north and south India. Senior Congress leader Antony said Wayanad is situated in Kerala, but also surrounded by Tamil Nadu and Karnataka. "In a way it'll satisfy the requests of three southern states," he said. There were many requests from Karnataka, Tamil Nadu and Kerala, the former defence minister said, adding that one of the major reasons for consideration was that it is a trijunction of the three southern states. "Amethi and Rahul do not have a political relationship. Amethi ke mann mein Rahul baste hain. It is a family relationship and cannot be broken by BJP's politics," Surjewala said. He said when the Congress government will be formed with the blessings of 130 crore Indians, Rahul Gandhi will represent every corner of the country in a bigger way. "We will discuss about the future slowly," he said in reply to a question on whether Gandhi will retain Amethi or Wayanad seat if he wins both. "Don't question Amethi's intelligence. Amethi has chosen Rajiv ji, Sonia ji and Rahul ji in difficult circumstances. They trust the fact that this country's management and Amethi is secure in the hands of Rahul Gandhi. Nobody can break the bond between Amethi and Rahul and least of all BJP," he said. Congress had won eight Lok Sabha seats in Kerala in the 2014 Lok Sabha elections, besides two by its ally Indian Union Muslim League (IUML) and one by Kerala Congress (Mani) and one by Revolutionary Socialist Party (RSP). The party is hoping to further consolidate its position this time in the state. Wayanad district is in the north eastern part of Kerala and houses various tribal groups of the state. The area was badly affected due to last year's floods.